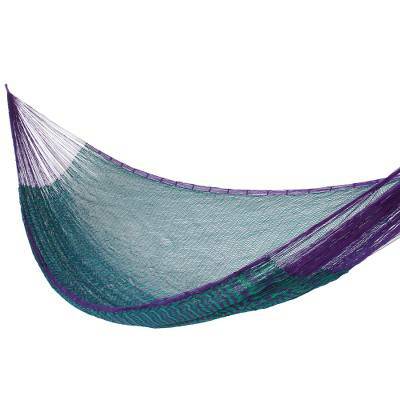 Artisan Crafted Striped Mayan Hammock (Single), "Royal Pheasant"
Evoking the regal feathers of the pheasant, green and purple mingle and blend. Woven by hand, this beautiful hammock comes from Maya Artists of the Yucatán who create it in the same way they have for centuries. You can find hammock 'Royal Pheasant' (single) by Maya Artists of the Yucatan in hammock categories such as Nylon Hammock, Mayan Hammock and Rope Hammock. Enjoy exploring these sections for other Novica treasures.